Optional soundtrack for this post is here. I may have no soul. It’s school vacation; thus I seem to have time to pursue random wisps of thought. While doing intensive Internet Research (watching YouTube videos till half-past-stupid-AM), I found a couple examples of TV sports music from my distant past – the formative junior high years, of course! – and had one of those moments that really make one marvel at the power of the human brain to store away microscopic fragments of memory and then access them decades later. So, more Internet Research. A few (and I mean not too many!) 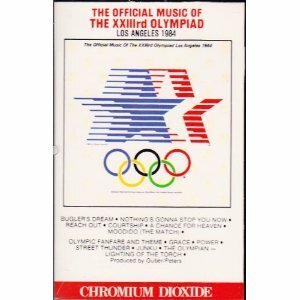 searches later, I had my answer, and then some – a complete YouTube reconstitution of an album (sorry, a cassette tape, history buffs) that used to own, containing 11 songs created expressly for the 1984 Summer Olympics, held in Los Angeles. At least that’s what my memory whispered at me. Aside from possible usage by ABC Sports, most of these musical items were probably as much the “official music of the 23rd Olympiad” (the only tunes the athletes listened to!) as Right Guard is the official deodorant of the National Football League (the only thing that football players in their right minds would stick in their armpits). But it’s an impressive sounding phrase; therefore we do not question. But what better place than Los Angeles, California, USA, capital of the entertainment world, to launch a project which would engage the towering talents of modern music? I suppose. Some of the talents were towering; others kinda weren’t. Irony alert. “Bugler” was not composed for any Olympics. It was composed long before ABC utilized it during its coverage of the 1968 Grenoble Winter Games. Since 1968, any time this thing starts up, all anyone can think of is sports. Yet another example of a musician (hello, Sir Arthur Sullivan) whose rather large body of work (in Arnaud’s case, a voluminous catalog of orchestrations and arrangements for motion pictures from the late 1930s to the early 1970s) is entirely eclipsed by one little item. Well, maybe not so little. And so begins the onslaught of the 1980s pop synthesizers! Yes, this is your basic ’80s hair band tune. And you know it’s the 1980s when the song title includes the word “gonna”. Please to forgive, but then as now, I have doubted that this item is  anything extraordinary, or  full of much Olympic gravitas. Loverboy fans, please refrain from heckling: because it’s true that I could also say this of Chuck Mangione’s “Give It All You Got”, written for the 1980 Lake Placid Winter Olympics – a tune I like a lot. Loverboy wrote during the mid-1980s and, sensibly, that’s what they sound like; Mangione was writing in the late 1970s, in a style that might have been the precursor to the accursed “smooth jazz” genre, so that’s what he sounds like. But neither item sounded (or sounds) to me like an Olympic Composition For the Ages. Which I presume is what this album was going for. I think. While you’re trying to un-imagine Giorgio Moroder at outside linebacker, I shall press on. The opening lyric doesn’t bode well. “Reach out, reach out for the medal!” And when the tempo kicks up abruptly, this tune is revealed as a less dangerous-sounding, studio-sanitized take on the previous Loverboy entry. Those of us who are old enough can easily construct our own ’80s date movie montage, featuring Patrick Dempsey, Molly Ringwald and all the high hair and stone-washed jeans in the world. And in the ’80s … this tune would have worked just fine. By the time this track is done, it has suggested both grand Olympic spectacle and little moments of grin-inducing basketball wizardry; it’s used both synth brass and genuine, acoustic, played-by-humans horn sections. The basketball never stops bouncing (sometimes the synth percussion fills sound like hands tapping the ball). And – remarkably for this album – it’s fun. Now I remember why this item stayed with me all these years. It’s actually fun to listen to. I know what makes me grin, though: the ascending synth line in the intro, which recurs a lot (now that I listen closely), which perhaps resembles the splash of water when a swimmer dives into a pool? Maybe I’m making a bit too much out of that, I don’t know. But I find the song entirely tolerable. TOTO!? On an Olympic music album? (Well, if Loverboy is there, can TOTO be be far behind?) TOTO isn’t exactly an progressive-rock icon like, say, Yes … but this instrumental item is creative in its commercial way. They *were*, after all, responsible for “Africa”, which is a more interesting musical composition than it’s sometimes given credit for. So, let’s assess: your boxing theme is straight-ahead rock, appropriately pounding away at the listener like, well, a boxer! Also it sounds like it was written and performed by musicians slightly more serious about their craft – a rock song that sounds as if it’s working hard to break out of the “average ’80s tune” cage. I particularly appreciate the boxing-ring bell sound effect tucked away in the middle of this one – a subtle touch in a composition whose purpose is nowhere near subtle. For better or worse (better, I think), this is the orchestral Olympic composition against which all others are judged – even others written by the same composer. Often, movie sequels don’t quite live up to the original, even the ones which aren’t derivative (hello, “The Spy Who Shagged Me”; no no, don’t get up) … and although the pieces that John Williams wrote for ensuing Games (Calgary 1988 and Atlanta 1996 leap to mind) have much to recommend them, this one is your go-to anthem. Best of all, it doesn’t sound like it only belongs in 1984. It works now, too. A welcome change of pace from the rest of the album so far: in spite of its fanfare beginning, this piece is much less Fast And/Or Loud!! than its counterparts. Sensible: gymnastics tend not to be nearly as slam-bang as many other summer Olympic sports. And of course, we’re envisioning the wood sprites who compete in gymnastics, as distinct from the muscle-bound sprinters, wrestlers, power forwards, rowers, and almost everyone else in the Athletes’ Village. Although those comments remind me stylistically of a few high-school music-appreciation exam answers I’ve read in my time … it’s an interesting if tiny window into the composer’s thought process. Power sports include weightlifting and not a lot else. 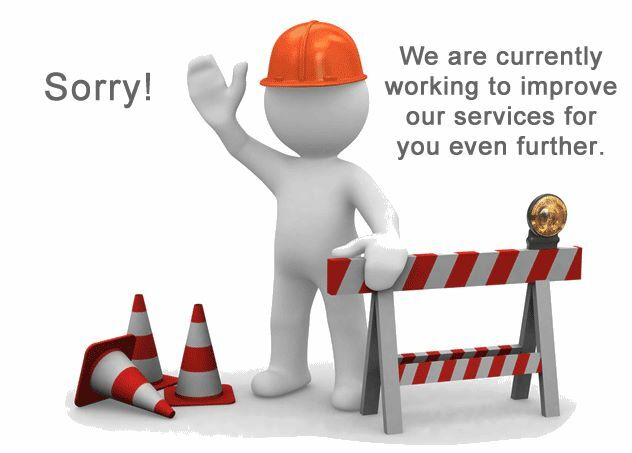 That’s what my Internet Research tells me. So: I think Bill Conti scores about ninety percent: there’s a mystifying middle section of this piece which has some nearly-pizzicato synth figures dancing around, and I’m sure I’ve never seen weightlifters dance, except to get out’ the way of a weight they haven’t lifted well … but everything else about this piece is good and plangent (I’ve been waiting half my life to use that word), if arguably about a minute too long for comfortable listening. And yes, we children of the ’80s can probably assemble in our heads the accompanying “Top Gun”-esque movie montage as we listen. Man alive, what is it with the ’80s and synthesizers? I went to high school and college in that decade, and thought I was paying attention musically; but you’d think that American music had outlawed acoustic instruments. Anyway. Here’s a tune that has just enough melodic content to avoid utter monotony, but enough minimalist monotony to quite aptly suggest the sport it’s aiming at: the marathon. I will admit that in 1984, I usually listened to music other than pop radio, and so (confession) I had barely heard of Foreigner, and didn’t think I was interested. First TOTO, now this: a wholly instrumental piece from a group I’d tended to dismiss as just another band with a lot of hair. “Street Thunder” isn’t Yes, either; but as program music, it succeeds in reflecting its target sport better than anything else on this album except for the basketball-bouncy tune. Weird trivia: it was originally released as the “B” side of Foreigner’s hit single, “I Want To Know What Love Is”. Herbie Hancock has never been a shrinking violet. Always willing to try new things. The sound he creates for this one, although shot through with the requisite ’80s synth patches (again! ), is at least a bit ahead of its time. Very danceable; a logical sequel to “Rockit”; and an interesting mix of electronically processed sounds and ethnic instruments – who else uses a kalimba on this album, or in all of 1984’s pop music? Nobody. It’s neat to listen to, for stretches (or as background music for going to commercial breaks), although at over five minutes long it wears out its welcome shortly after the standard radio three and a half. And one other consideration: I’m not sure whether it reflects the track-and-field sports that aren’t on a track, i.e. pole vaulting, javelin catching (yes; I know I wrote that), the hammer toss, shot put. Or, since it wasn’t created specifically for this project, I’m not sure why the album producers tried to jam this particular square peg into this particular round hole. Minimalist Mr. Glass has the bad fortune to be on the same album as John Williams, contributing a piece to accompany an event for which Williams would be a logical composer choice. Still, there’s some good material in here – lightly bombastic (if there is such a thing), nicely mystical (for an intriguing 30 seconds in the middle of the piece) … and, if performed by live musicians, probably remarkably fatiguing. In this video clip from the actual torch lighting ceremony, the Glass composition is in fact used … and in the pastel-colored, cartoon-y world of the 1984 Los Angeles Olympics, it actually works. So, a trip backwards in time (in memory and in music). In 1984, there were only two or three items on this Official Olympic Music album that I played much after the first listening. Now, I’d probably add perhaps one or two others to my iTunes playlist and leave the rest to sit around for another few decades … but at least I know why. Also, I can now sleep well at night. “Courtship”. That was the title of that danged bouncy-basketball tune.